Harley N. Hunt, 75, of Flemingsburg, passed away Saturday, May 19, 2018, at Pioneer Trace Nursing Home. Harley was born in Mason County, on January 8, 1943, a son of the late Robert and Imajean Earlywine Hunt. Harley worked for Browning’s, Bobby Porter and Dave Ritchie. He enjoyed working on cars, raising animals – especially chickens, and watching Bonanza and Gunsmoke. He loved his family who kept a smile on his face. 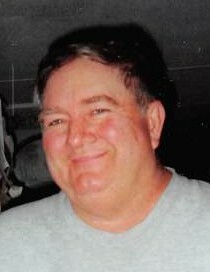 Harley is survived by his five children, Janet (Brian Fryman) Hunt, Angela Hunt, Chris (Marsha) Hunt, Colin (Jana) Hunt and Cassandra (Kenny) Shepherd; his 14 grandchildren, Jennifer Adams, Tyra Davenport, Marisa Simmons, April Hunt, Rosie Hunt, Ashley Hunt, Alayna Hunt, Zoey Hunt, McKinley Peveler, Robbie Peveler, Darrin Brooks, Derrick Brooks, Drew Brooks and Tasha Harbottle; his seven great-grandchildren, Chelsea, Elliott, Kennedy, Aiden, Bentley, Gunnar and Isabella. He is also survived by his brothers, Gerald (Betty) Hunt, Calvin Hunt, and Richard (Cathy) Hunt; his sisters, Diana (Doug) Kiskaden, Rebecca (Wally) Lucas, Donna (Pat) Hunt; and his special niece, Brenda Jackson. In addition to his parents, Harley was preceded in death by his wife of 50 years, Barbara Jean Jackson Hunt; his brother, Bobby Hunt; and his sister, Nancy Hunt. Funeral services will be 1:00 p.m., Wednesday, May 23rd, at Boone-Nickell Funeral Home with Bro. James Hickerson officiating. Harley will be laid to rest next to Barbara in Elizaville Cemetery. Visitation will be 6 to 8 p.m., Tuesday, at the funeral home. In lieu of flowers, the family suggests donations to Boone-Nickell Funeral Home to help offset funeral expenses..